Everyone's heard about outlines, and that they are necessary for better writing. But what is an outline, exactly? Why do you need one? And how do you make one? If you wonder about these questions and how to write an outline, keep reading for the answers from WhiteSmoke, the all-in-one writing solution. 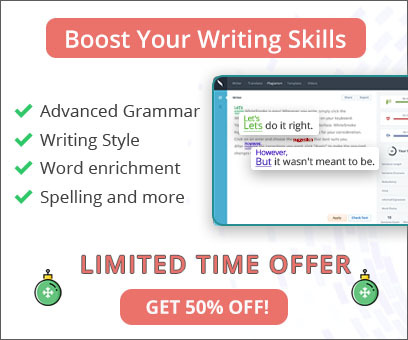 Then learn how WhiteSmoke online writing software will help you go beyond outline writing and create an impressive finished product, whether you are writing a business plan, essay, or research paper. The first step in outline writing is understanding what an outline is. Basically, an outline is an organized list of information. A formal outline uses an established system of Roman numerals, capital letters, Arabic numerals, and lowercase letters to show how ideas are related. An informal outline might just have indentations to show relationships between ideas. Further down the page, you will see an example of a formal outline, to illustrate this definition. Regardless of which type of outline you decide to write, whether for an essay, paper, book or other type of English writing, you have a few more choices to make. You can write a topic outline, which will not have complete sentences, but rather words and phrases. Or, you can learn how to write a full sentence outline and use that style, with complete sentences. You can also choose when to write your outline during the writing process. Some professors assign outlines in the beginning stages of assignments, as a way for students to organize their initial research and ideas. You might not have specific instructions, and instead choose to write an outline while you write a draft to keep track of information, or even while you revise to check the flow of your writing. No matter when you write your outline, you must be sure to remain flexible throughout the whole process of writing; you may need to rearrange the order of your ideas so that you will write the most effective document. Take a look at the following example of a formal outline, to understand the conventions for writing it and how it organizes ideas and information. Note that if there is an A, there must be at least B; if there is a 1, there must be at least 2; etc. Now that you have learned how to write an outline and written one, work on perfecting the rest of your document with the right choice in writing software. Write a strong thesis statement and well-structured paragraphs. Continue to improve your writing by proofreading thoroughly with the comprehensive writing tool, WhiteSmoke. WhiteSmoke offers you complete spell checking, English grammar checking, and punctuation checking too. In addition, you have access to an online dictionary with extensive definitions, parts of speech, and translation. 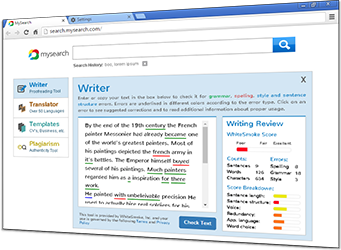 Enrich your writing with context-based adjectives, adverbs, and synonyms suggested by WhiteSmoke's artificial intelligence server and thesaurus. Access all of this in one click, and see instant, powerful results.